At some point in a dog’s life, wearing a muzzle may be necessary – at the vet’s or groomer’s, public areas. Some communities have made it a law to muzzle your dog in public. There are a number of different types of muzzles to choose from depending on what it will be used for, your dog’s breed and personality. The leather police muzzle is used for very aggressive dogs. It is reinforced inside with metal to help maintain its shape. This muzzle sometimes has a quick release snap when necessary. Police dogs often use the muzzle to help knock someone down. It is large enough to allow your dog to open its mouth and pant. The leather harness muzzle should only be used with a dog that is not at all aggressive. The placement of the straps could allow a dog to bite even if only a finger. The wire basket muzzle allows the dog to pant, drink and even eat while wearing it. It allows excellent airflow as well. It comes in different sizes, but the most popular is for dogs with long noses. The plastic basket muzzle is not as secure as the wire one. A determined dog could slip out of it. However it can be used for daily walks with a non-aggressive dog. The Jafco muzzle has a plastic basket. This muzzle can be used daily, even for guard dogs. It comes in most sizes and is very durable. Nylon muzzles should only be used for short periods of time, no more than 15 minutes and always with supervision. The dog’s mouth is kept closed preventing panting and doesn’t allow the system to cool. They are handy in emergencies or vet’s visits. The Halti head collar is not a muzzle. 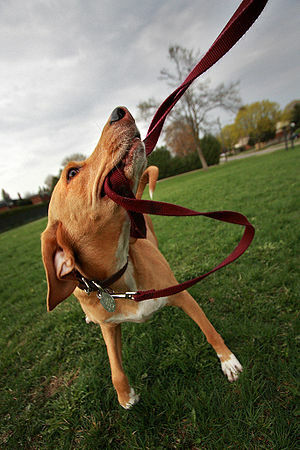 It is used to teach a dog to walk without pulling. 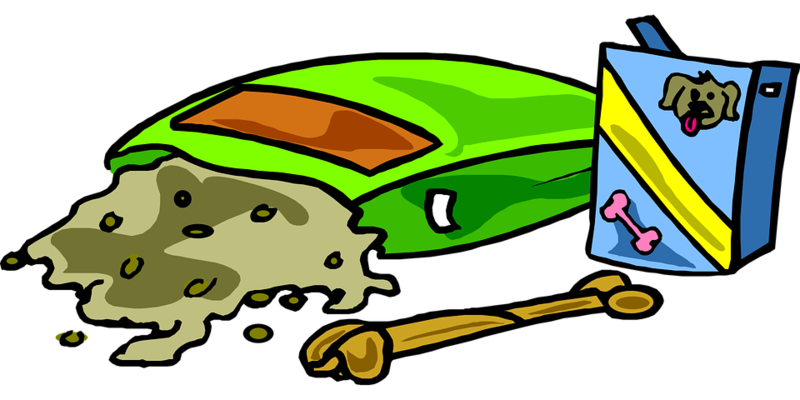 Great care should be taken not to jerk the Halti suddenly. 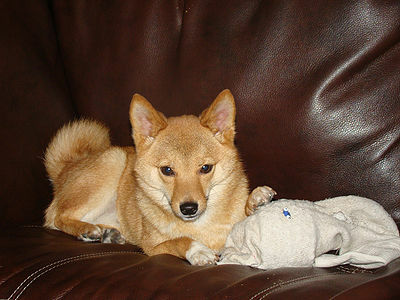 It pulls the dog’s head sideways and could cause neck or spinal injuries. There are other leather muzzles which are not recommended as they do not have important airflow and can even allow the dog to bite. Dogs are not usually happy at first with having to wear a muzzle. You can desensitize your dog to a muzzle by placing a treat inside and allowing him/her to eat it. After several days of this, fasten the muzzle on the dog praise and a treat. Leave the muzzle on for a short time. Gradually lengthen the time the dog wears the muzzle continuing with praise and a treat. 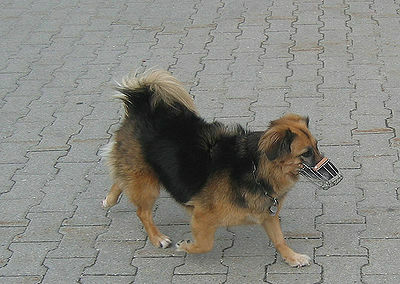 When your dog realizes wearing the muzzle has positive results, including a good walk, s/he will accept it. Do your research and discuss with your vet and/or dog trainer which is the appropriate muzzle for your dog.